The Professional Locksmith does more than just help you get in your car, home or office when you're locked out. We also help make sure your building and property are more secure. A big part of security is making sure your iron gate is in good condition. If you need iron gate repair in Chicago, we are the right choice for your specific needs. Your wrought iron fence & gate need to be secure or an unwanted intruder could get in. With the right wrought iron gate repair, you won't have anything to worry about. 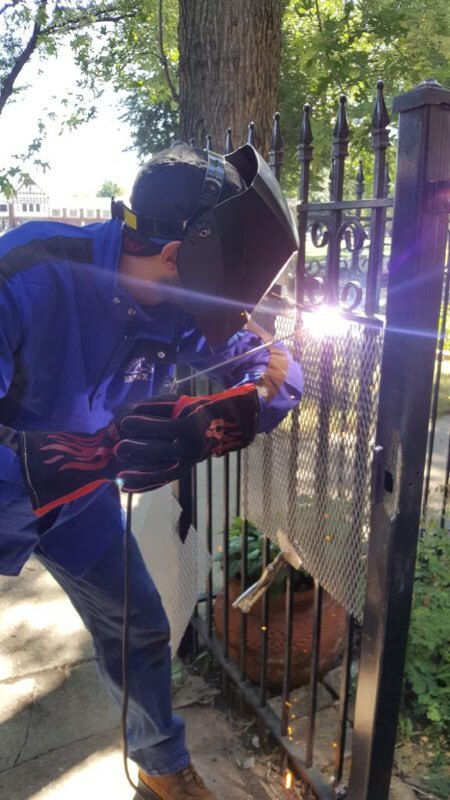 At The Professional Locksmith, we offer iron gate repair in Chicago and we can also install metal screens to make the gate even more secured. Sometimes, the welds on an iron gate will break and they must be fixed. If you leave your gate broken, it could make it easy for a thief to access your property. Often, the iron gate is the first defense against a break-in. When it's broken, that first line of defense won't work. At The Professional Locksmith, we offer full wrought iron gate repair services in Chicago including welding. We will make sure your gate is fully repaired and works the way it should before the job is done. Our team of experts responds quickly and we will help to ensure your property is fully secured. Wrought iron is a very strong material and holds up well, but it can break under pressure, especially around the welds. An epoxy weld can often be used to repair this type of gate, but it may not be something you want to attempt yourself. You will have to have an idea of how to apply an epoxy weld. Welding isn't easy and it's a bit of an art form. 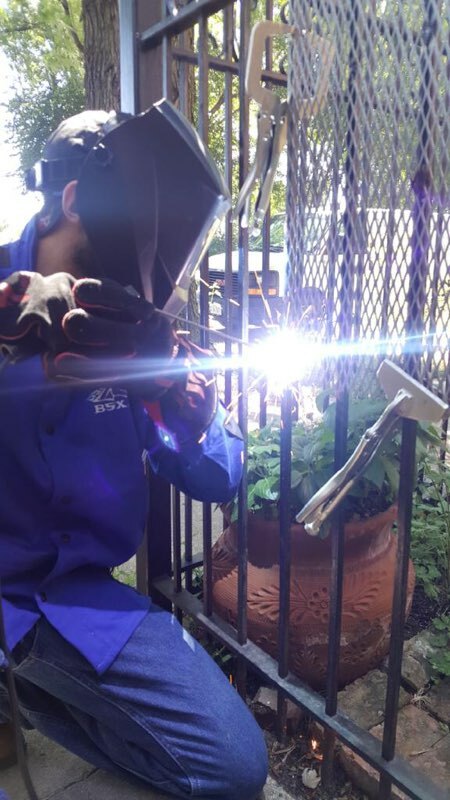 Hiring a professional to handle the welding for your wrought iron gate will ensure it's done correctly. The last thing you want to do is attempt this on your own without any idea what you're doing. If the weld isn't done correctly, you could leave the gate compromised. Along with providing iron gate repair in Chicago, The Professional Locksmith also installs metal screens. These screens help to ensure nobody can reach through the gate and unlock the gate from the inside. We use metal, wire and aluminum mesh screens to boost your privacy and security. With our help, you can have the metal security screen mesh you need to ensure excellent security and privacy from your wrought iron gate. Our experts will install the right wire mesh screen to ensure your property still looks amazing while gaining the security you desire. When you need iron gate repairs in Chicago or you want to add metal security screen to your gate, call The Professional Locksmith. When it comes to security, we are the top choice in Chicago.